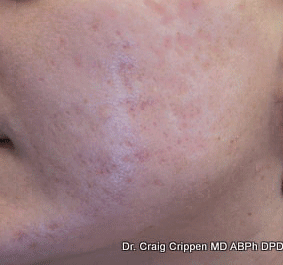 Young patient of ours with a long history of mild-moderate acne vulgaris. Treatment included medications and laser therapy. 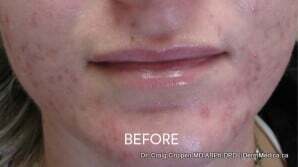 Moderate to Severe pustular and cystic acne with resulting acne scarring in the skin. Treatment improved the condition using both topical and oral medications in addition to vascular laser therapy. 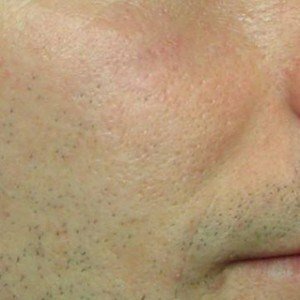 If further improvement is desired, fractional laser therapy can also be utilized. 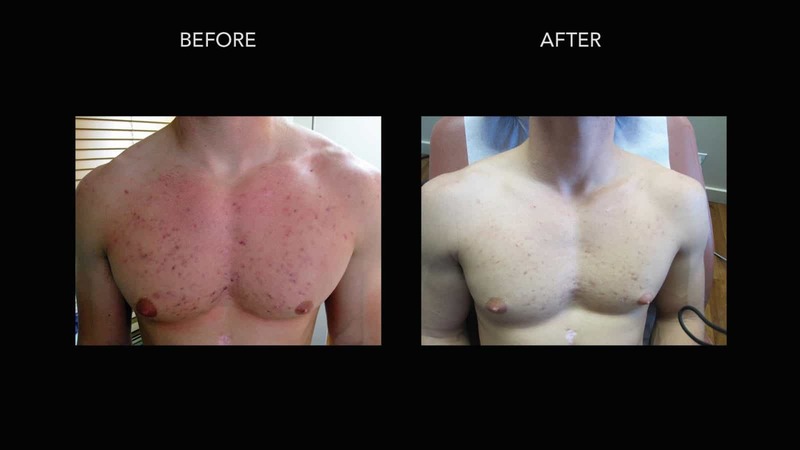 Young man with history of severe cystic acne on chest and back due to medication. 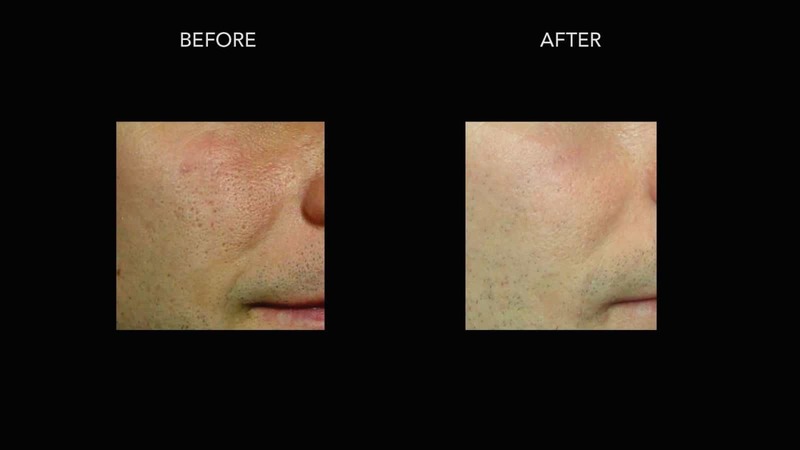 Vascular laser therapy was very successful in reducing the appearance of inflamed, red lesions. 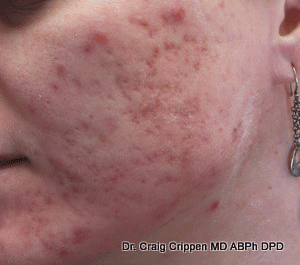 Young man with a history of severe acne that has now subsided. The patient was left with some ice pick scars on both cheeks. 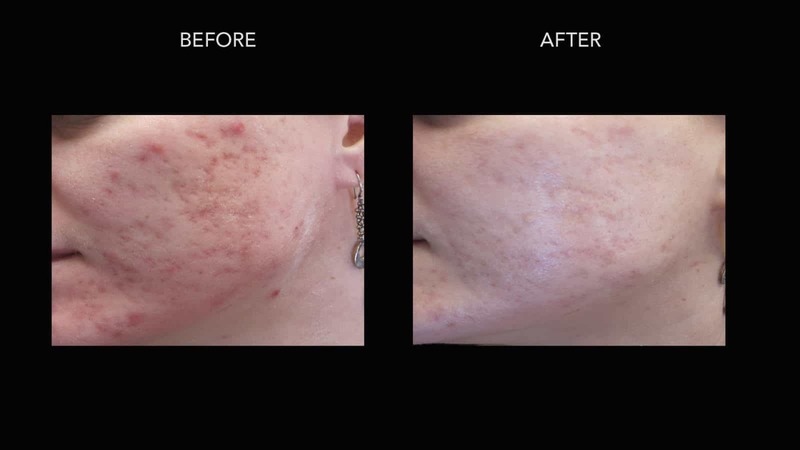 Treatment involved fractional laser therapy (multiple sessions) to gradually smooth the skin and improve the appearance of the scarring.